Both groups created a Ning social network as the hub of their activity. Nu Life‘s pulled RSS feeds from the magazine blog and from local news services, in addition to having blog posts on the Ning itself, hosting images, originally produced video, an event, and forums. Skint pulled just one RSS feed – from BBC Entertainment – but also had an on-site blog, images, video, forums and groups. There was an intelligent use of ‘Featured Users’ on the users page as well as the opportunity for users to embed their own ‘badge’ (widget) declaring their membership. Facebook was used by both groups too – Nu Life‘s attracted 159 members, and included images, discussion and video (this time found on YouTube rather than produced by themselves). The number of members was most likely due to the fact that group creator Isabel Fernandes engaged in discussions in relevant groups elsewhere on the site, and created a Nu Life group on hi5 – a social network popular in Portuguese-speaking countries. Skint also used MySpace – only gathering a measly 4 friends. Apart from Isabel, generally the Facebook strategy seemed to be ‘Send out invites to all my friends’ rather than any coherent attempt to generate discussion and activity, while the Ning strategy seemed to be gather all the distributed content in one place and kick off discussions among themselves. The expectation was that readers would simply come to them. As for going to the reader… No. Nu Life’s blog had more posts but was a transparent cut-and-paste shovelware job – to the extent that the formatting from Word made the posts look ugly and inconsistent (tip: learn to use WordPress’ remove formatting button). There was some attempt at engagement, but this was in the ‘Have Your Say’ vein of “So… what helped YOU decide to study abroad? Share your thoughts here!” Again, no links in posts but at least they had some in the outside column. A small group of students were asked to explore video for Nu Life – these were posted on the magazine’s Ning-based social network, along with images. Sadly they didn’t appear to cross-post on the likes of Flickr or YouTube, or engage in conversation on those sites. Skint had their own YouTube channel which not only included their own videos (student Stacey Spencer managed to create 3) but also those that they have ‘favourited’, adding extra value. They also had a Last.fm page, but the creator couldn’t get beyond simply adding his own music (the Ning site creator Adam Stewart had a better idea, embedding tracks such as ‘Money Money Money’… you get the idea). One student had the right idea in creating a poll on fan network Fanpop – but then neglected to mention or link back to the magazine site. One student created a Flickr account for the magazine. The images were few (and probably copyright-infringing) but importantly, she joined and contributed to a number of Flickr groups such as Supermarket UK and Student Life. Sadly, her contributions had the typical arrogance of journalists: “Battle of the supermarkets is an article that will be featuring in the next issue of Skint magazine! Your photos are really helpful!” Thanks, now what have you done for us lately? A member of the Nu Life team was assigned social bookmarking and quickly learned that while Delicious had its uses, Digg was much more useful in creating a social experience with the target audience – but rather than create a useful resource for that audience and build it slowly, he ‘friended’ 100 users on one day and bookmarked a handful of sites. A better strategy would have the numbers the other way around. There were 2 Digg accounts for Skint magazine, but neither thought to make any friends. Clearly, I was disappointed. As I’ve said before, anyone who thinks young people are automatically switched on and into social media underestimates just what a conservative bunch young people are. More than one spoke of how they needed to ‘advertise’ the site more, and indeed some students created flyers and posters that they distributed – not a bad thing, but not an education in online distribution either. They treated the websites as destinations, not platforms. They focused on creating content, not conversations. And (apart from those named here) they stayed within their own circle of friends rather than reaching out to create new relationships with people and communities online – indeed, the fact that there was a Ning site as well as a Facebook group seemed to allow them to think they were ‘branching out’ by moving/linking from one to the other. That’s understandable: most took the path of least resistance, holing up and making ‘stuff’; operating within their safety zones and relying on existing production paradigms. In other words, they’re not doing anything that most of the magazine industry itself isn’t doing at the moment. What teaching experience does that? It’s no surprise most of them didn’t get it. 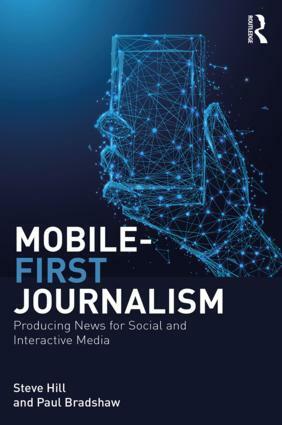 Ultimately this was not an ‘online journalism’ module – this was about magazine design and sub-editing (including search engine optimisation), with only two sessions on web strategy (and look at the cover designs above – the design skills were great). Their critical evaluations suggested that they understood in principle where they had gone wrong – and that’s the point of these exercises: to try something, make mistakes, and work out how to do it better. 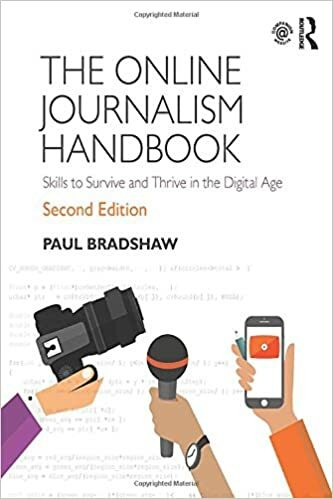 Most of these people will be starting my Online Journalism classes next week – ten full-on weeks immersed in newsgathering and production online – and I’m looking forward to seeing if they can put that learning into practice. I’ve already changed some of the assessment of that module based on what I learned from this. Interesting observations and findings especially around student attitudes to blogs and the effort they put in. Look forward to following the results / postings from the online journalism courses. Paul, thanks for taking the time to share the results of this module in such detail. First of all, credit for both the concepts (simple but effective) and the design (as you say, great). Second, I cannot think of a greater incentive to learn and change than having a public, real-world assessment of their work. One of my classes is about to embark on the new Business of Magazines module on the journalism course on which I teach, and we’re shaping it around launchiing an online magazine, so your feedback here is going straight into the first class of the module. I’ll make sure I come back and share our results when we’re done. Thanks Tim – I tried to only name students who had done good stuff, but on a re-read I will delete some of those. Paul, I would like to thank you as well for posting your thoughts and observations from your experiences with the course. I help with a similiar type of course where the students produce a print and online version (I am the instructor for the online side). I have been kicking around some of the same ideas for this years group to improve on last years website and glad to see what was effective and where there is room for improvement! Like Alex, I will be sure to follow up with my results! Thanks again! I want to go into magazine production business and i need professional advice. Pls. help me better…..